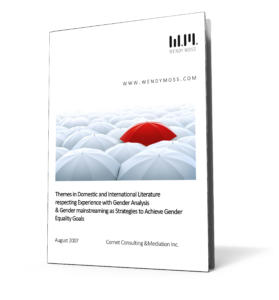 This report provides an overview of themes arising in literature on the successes and failures of efforts to achieve gender equality through the strategies of gender analysis and gender mainstreaming since the UN Conference on Women in Beijing and the adoption of the UN Convention on the Elimination of All Forms of Discrimination Against Women (CEDAW). 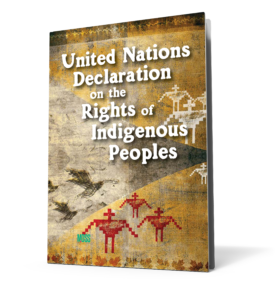 On September 13, 2007, the United Nations General Assembly adopted the Declaration on the Rights of Indigenous Peoples (UNDRIP). It was adopted following 25 years of discussion between Member States and Indigenous peoples. Indigenous peoples’ advocacy shaped the content of the UNDRIP in many important ways and was key to realizing its ultimate adoption by the UN General Assembly. The UNDRIP expresses foundational principles (drawn from existing international human rights law) that all people, as individuals, are equal; and that all peoples are equal and hold the right to self-determination. Canadians rightly embrace freedom of speech. Valuing freedom of speech doesn’t mean we must accept the harms of hate speech. As a general principle, human rights do not include a right to exercise them in a way that causes harm to others. Freedom of speech in public settings is not an absolute right. 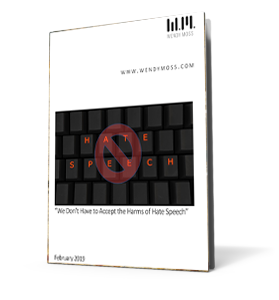 How to regulate hate speech(as well as lesser forms of discriminatory speech in the work place and other regulated/non-private spaces) is a global discussion and challenge. The instant and massive reach of websites and diverse social media platforms has made discriminatory online abuse a critical area of regulation for governments. This challenge is further heightened in countries with populist political trends or hostile social media forces aiming to create fear and hate based on racial or religious lines and/or xenophobia. Efficient, well-managed, transparent systems for managing land rights and usage by citizens is obviously a desirable policy objective for every nation. Achieving this goal can be challenging and complex for peoples making the transition from colonial legal regimes to regimes of their own design. This Discussion Paper provides an overview of key policy issues affecting First Nations land and property rights with a focus on policy issues respecting land tenure on reserve. 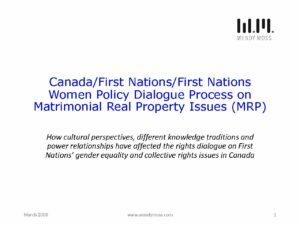 A brief presentation in power point format describing a policy dialogue process between Canada and two national Indigenous organizations respecting matrimonial real property issues on reserves. The presentation discusses ways in which cultural perspectives, different knowledge traditions and power relationships affected the rights and policy dialogue on First Nations’ gender equality and collective rights issues.